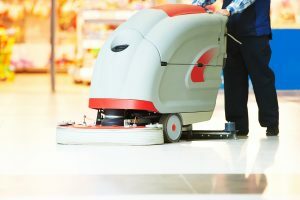 Our floor cleaners will keep your office spotless! LONDON, UNITED KINGDOM, November 1, 2018 /EINPresswire.com/ -- – With cold and flu season just around the corner, a London office cleaning company claims they can increase worker productivity by keeping offices clean and tidy – and it seems they have the science to back it up. Citywide Cleaning Services cites a 2016 Labour Force Survey from the Office For National Statistic (ONS) which revealed that more than more than 33 percent of sickness absences from work are due to minor illnesses, many of which can be prevented by keeping a clean office. The study cited a whopping 34 million days lost in productivity in 2015, the most recent data available. In addition to preventing the most common cause of lost productivity (colds and coughs), McClean says a tidy office can also combat another major cause of sick days in the office: stress and anxiety days (which, according to ONS, accounted for 7.7% of lost days in 2016). In addition to all the health benefits of hiring an office cleaner, McClean says keeping a tidy office just makes good business sense as well. Krystal McClean is available to discuss the figures of the ONS study as they relate to office cleaners in London. To schedule an interview, contact Krystal McClean at info@citywidecleaning.co.uk. For more information on Citywide Cleaning Services, go to https://www.citywidecleaning.co.uk/. Citywide Cleaning Services gets you the results you deserve!